Rick: Duskers is the Alien game you never knew you wanted. It puts the player in the shoes of a drone operator on a spacecraft who is also possibly the last surviving human in the galaxy. To ensure that you remain that way, you need to travel between derelict spacecraft and space-stations and scavenge what you can from them using your robotic buddies. But these silent space-hulks may also play home to other life-forms, whose favourite meal just so happens to be drone and chips (microchips, that is). 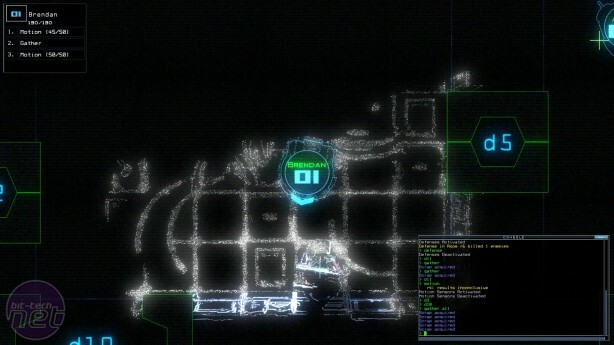 On the surface, Duskers is a survival game, but really it’s a procedural horror generator. The game’s retro-fitted art style and command-interface controls create a powerful sense of immersion, making you feel like you really are at a computer terminal on some ancient spaceship lost in a star-pocked void. You’re never quite sure what challenges you’ll be faced with in the next derelict, and your scanners will only reveal so much about the ship. If a scan comes back inconclusive, the only way to proceed is to send a drone in directly. It could contain much needed fuel, but it could also contain a crazed android who will immediately attempt to tear your drone into pieces. Couple this with randomised environmental hazards such as dodgy camera feeds and radiation leaks, and you’ve got a game which never lets up on the tension. Rick: Nathan Drake’s final treasure hunt sees him scouring Italy and Scotland on the trail of the fabled pirate city of Libertalia before heading to Madagascar in search of Henry Avery’s vision of piratical paradise. 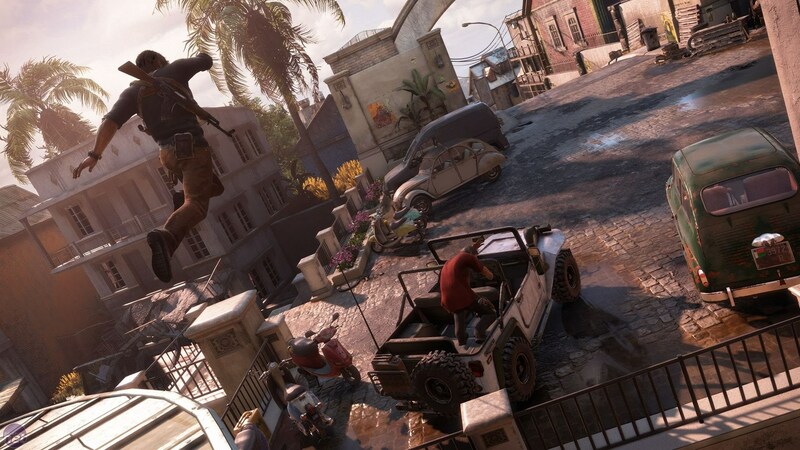 It’s a sequel that provides all the things we’ve come to expect from Uncharted – liquid smooth platforming and explosive, high-octane action. Yet it also proved to be arguably the most restrained and believable of Drake’s adventures, focussing as much on the fractious relationship between Nathan and his estranged brother, and on Nathan’s rocky marriage, as it does on wicked cool stunts and apocalyptic levels of destruction. It also dabbled with a few new mechanics, such as a stealth system that actually works, and even a touch of open-world exploration as you navigate Nathan’s jeep through the mud and rivers of Naughty Dog’s incredible depiction of Madagascar. For all that though, it never forgets the elements that made the previous games so memorable. The Jeep chase is one of the finest action sequences in the entire series, and the island of Libertalia itself is a masterclass in puzzle platforming. It all made for a fitting send-off to gaming’s own Indiana Jones, alongside being one of the best action games in ages. Rick: Dark Souls III is simultaneously a return to form for the series and a bold reimagining of the original’s ideas and lore. It makes the brave move of clarifying many of the more gnomic mechanics seen in the first game and offers a much smoother difficulty curve, giving new players a fighting chance of establishing a foothold in its dark and punishing world. At the same time, however, Dark Souls III also provides some of the most challenging areas and bosses yet seen in the series. 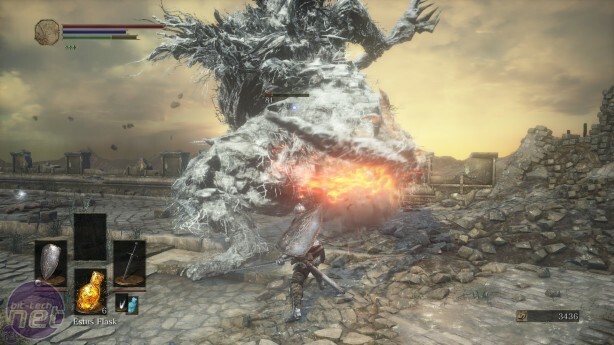 Opponents such as Pontiff Sulyvahn and the Dancer of the Boreal Valley fight with a level of deviousness hitherto unseen in Dark Souls, their attacks designed to deliberately upset the rhythms players established in previous games. To defeat these opponents, you cannot rely on tried and tested combat tactics. You must master all elements of the system – blocking, dodging, rolling, and learn when to use them with atomic precision to emerge victorious. My favourite thing about Dark Souls III, however, is how its world and lore is literally built atop that of the original. Lothric is the same landscape as Lordran but a thousand years in the future. Many areas are barely recognisable, but look closely and you’ll see fragments of that old world poking out like gravestones in an overgrown cemetery. The sun-dappled spires of Anor Londo have transformed into the frosty beauty of Irithyll of the Boreal Valley, while Firelink Shrine, once a little pastoral idyll in a dying world, now sits upon a huge pile of ash. Dark Souls III doesn’t quite reach the lofty heights of the original, but the ways it plays with its identity as a sequel makes it memorable in its own right. Jake: Civilization didn't need to reinvent itself after the success of V, but it did it anyway, turning nearly every established mechanic on its head. That it's tried something new isn't the reason it's sitting at the halfway point of our top 10 games of the year, however, although it's certainly commendable. What makes Civilization IV so special is how essential all of these changes feel. As you encounter each new change for the first time, it immediately feels like a natural extension to the 15-year old series. This feels like how the game should have always been made. 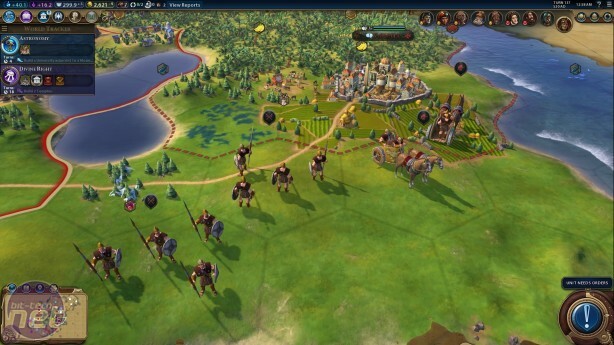 Firaxis has a well-deserved reputation for delivering solid gold strategy titles – and you won't be surprised to find another Firaxis success on our list this year – but it's genuinely a struggle to see how anyone's going to make an empire builder that can come anywhere close to the standard set here.